1. By the targeted application of the shockwaves, stress to the circulation tissues is quite insignificant. 2. The body is not burdened by pharmaceuticals, except the short-term effect of local anesthesia if used. 3. The possibility of preventing the necessity of surgical intervention and its releveant hazards. 4. Some indications, such as tennis elbow, there is remodeling other effective treatment. 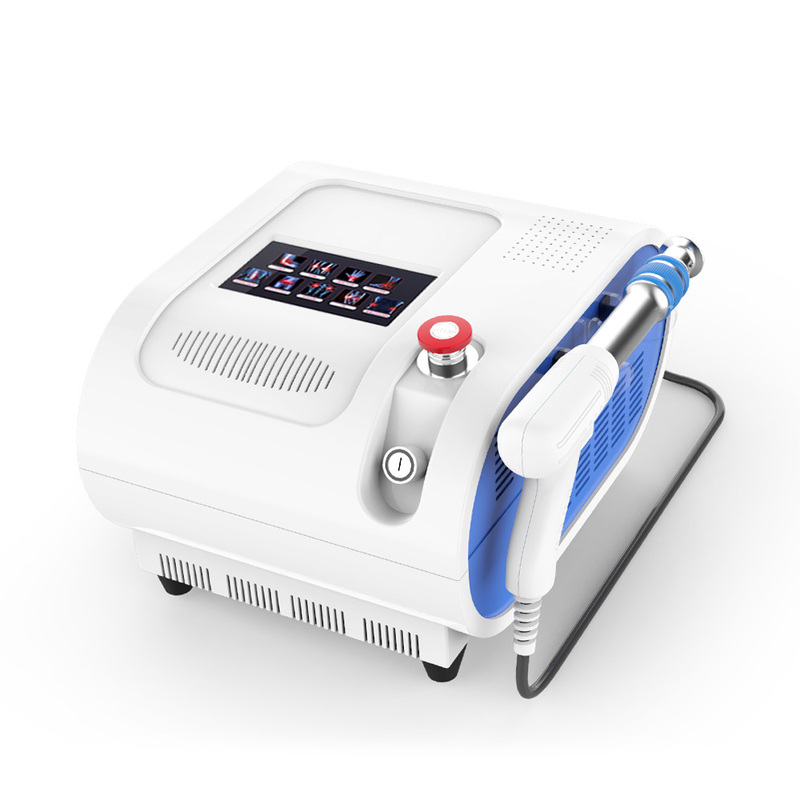 This machine work in the human body long-term affected by the pain,shock wave care principle is through the promotion of calcium precipitation dissolved,enhance blood circulation to relieve pain.